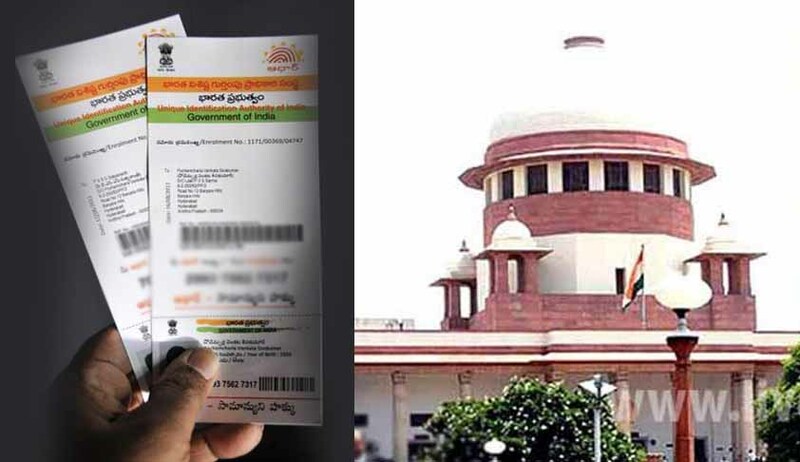 The petitioner submitted that he is a tax-paying citizen and does not hold an Aadhaar card till date nor has he applied for the same in view of the legitimate expectation that the said scheme was not mandatory in view of the orders of Supreme Court as well as the provisions of the Aadhaar Act. “However, due to the introduction of Section 139AA of the Income Tax Act, 1961, the petitioner is being coerced into obtaining an Aadhaar card in complete violation of his right to privacy as enshrined under Article 21 of the Constitution of India”. He also submitted that by virtue of various orders of the Supreme Court dated September 23, 2013, March 24, 2014, August 11, 2015, and October 15, 2015, in various petitions dealing with the constitutional validity of the Aadhaar scheme, the apex court had directed that the said scheme is purely voluntary and is to be obtained only on the consent of the individual. He also submitted that the Aadhaar (Targeted Delivery of Financial and other subsidies, benefits and services) Act had not made enrollment for Aadhaar compulsory. The issue regarding the right to privacy being a fundamental right enshrined in Article 21 of the Constitution in the context of Aadhaar scheme is pending consideration of a larger bench of the Supreme Court. The newly-introduced Section 139AA of the Income Tax Act stipulates every person, who is eligible to obtain Aadhaar number shall, on or after the 1st day of July, 2017, quote Aadhaar number in the application form for allotment of permanent account number and in the return of income. Where the person does not possess the Aadhaar number, the Enrolment ID of Aadhaar application form issued to him at the time of enrolment shall be quoted in the application for permanent account number or, as the case may be, in the return of income furnished by him. It is also mentioned in the Section that in case of failure to intimate the Aadhaar number, the permanent account number allotted to the person shall be deemed to be invalid. According to the petitioner, bringing about such a provision as an amendment to the Finance Bill, which is a money Bill, by curtailing discussion in the Upper House of the Parliament, without any compelling public interest for such expediency, clearly reveals that the move is arbitrary and therefore, falls foul of Article 14 of the Constitution of India.